So this is her! I got a good deal on a Strauch Petite Drum Carder.... and couldn't help myself. Besides, seriously, would Santa know where to get one of these? really? Merry Christmas to me! So to warm her up, and see if I could handle it, I made a couple batts out of some natural colored brown Alpaca and Merino X I had lying around. Both fibers are a natural chocolate brown, and carded together beautifully, as easily as I had hoped. Now of course, blending already prepared Merino and Alpaca isn't that hard of a job.... The alpaca is fine and soft as baby hair in the first place. 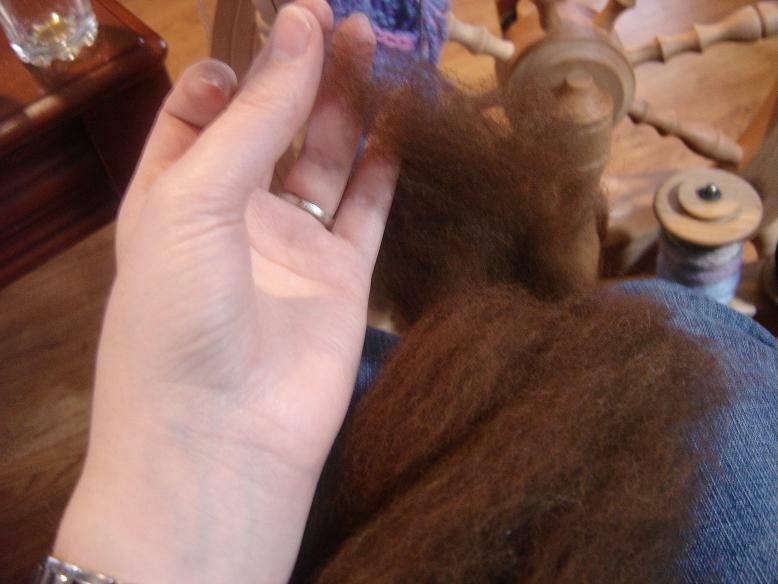 Gorgeous soft locks, with no matts or tangles anyways, but someday I will get ambitious, and wash the Jacob Fleece I have in a box upstairs... and then we'll see what the little carder is made of! I need to get to a fabric store some day soon and get my hands on some tulle... for placing between the locks in my Laungerie bags so I can try washing wool in the Washing Machine. A bunch of sites say that if you lay layers of the mesh between layers of locks, it helps to preserve the lock formation better. Here's a close up of the final blended batts... smooth and sproingy from the nice Merino X lambswool. The stuff spins up like a dream too! So well blended, and soft. It drafts very easily, and needs very little predrafting since it is fluffed up so well. Can't wait to try blending other fibers now... looking at my stash thinking... hrm, can I blend that with anything else here? lol. I think the spinning bug is becoming more contagious after all. Is that even possible? The blonde Ashford is really getting a workout these days... so much spinning so little time! Gift bags, because the husbeast feels paper is wasteful - but I prefer a tidy wrapped package with lots of ribbon, bows, tags, pretty designer paper. Adore eggnog! must hold back, so as not to drink entire cartons. Guitar! I loved mom's guitar, so when Santa brought me one of my own, I was ecstatic! 10. Mail or e-mail Christmas cards? um... haven't gotten there yet this year. I think it may be too late for cards... so er... e-mails? Nothing stands out as being that awful... although when I requested "something sparkly made of precious stones and metal" from Marky one year (fishing for an engagement ring) I did receive approx 15 lbs of tinfoil... we sure did laugh about that. Apparently aluminum counts as a precious metal in his books. go figure. all year round. If I find the perfect gift, doesn't make sense to leave it behind. Multicolored! best of all worlds! Visiting local relatives, then crashing in the evening, just my Honey and Me! Star. I have a special Angel made by Grammie, but it stays in a special place all year. I know usually people tag other people with these list-a-thons... but since it's Christmas, I don't want to put any more tasks on your plates! 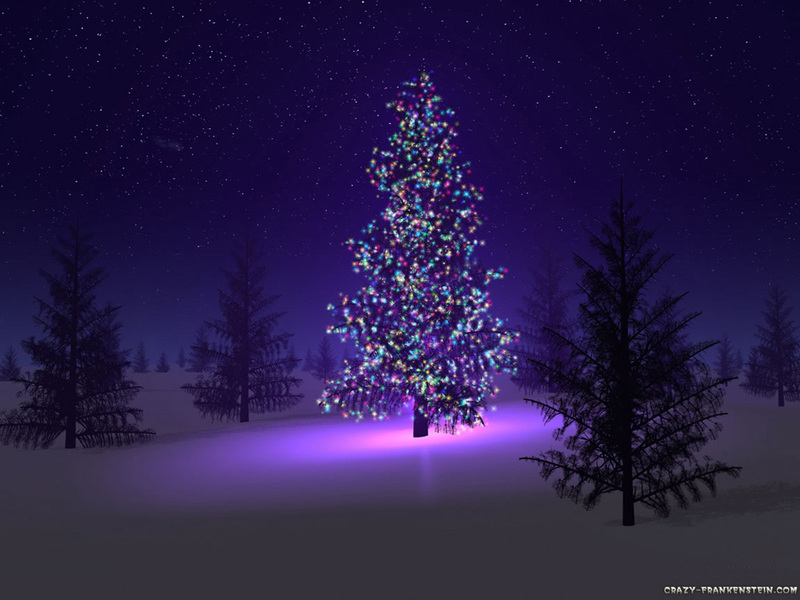 Hope you all are starting to feel the Holiday Spirit!